Jim was a founder member of NOSAS, which celebrated its 20th anniversary in 2018. He was known in the Highlands for providing important aerial photos of numerous archaeological sites over many years. Sadly, Jim died on June 16th, after a long and wearisome illness. His extensive collection of aerial photographs has been gifted to NOSAS and will form the JS Bone Collection, in his memory. This is the story he wrote of himself, in the months before he died. (Introduction revised Sep 2018). 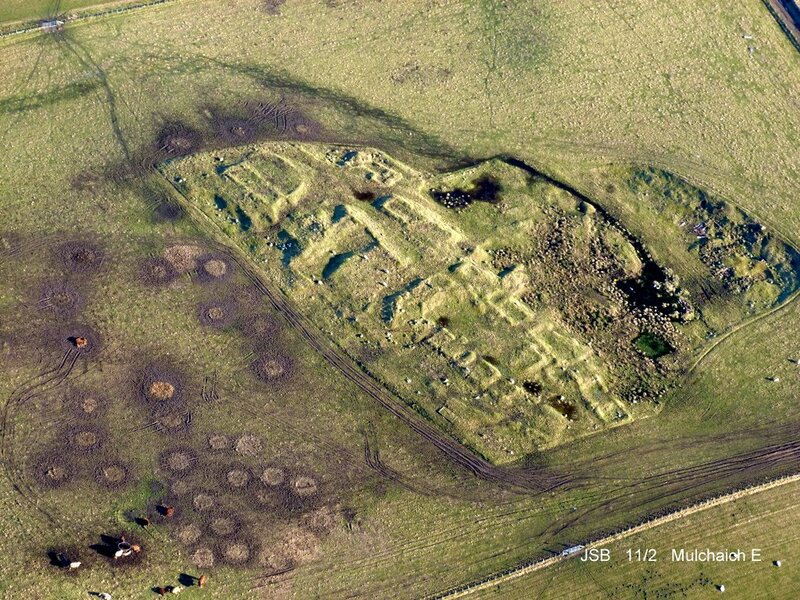 Aerial photograph of Mulchaich, Ross-shire. The settlement , distillery and chambered cairn at Mulchaich were the subject of NOSAS projects between 2009 and 2013. See the blog post. It appears to me that people can be divided into two categories – those who love flying, and those who do not. Brought up in close proximity to Prestwick Airport, I recall watching aircraft there, and determined that I would one day find out more about aviation. 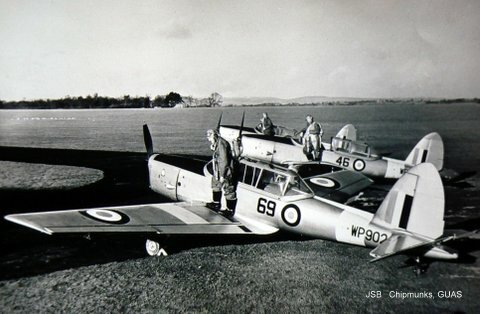 Inspired by a selection of Biggles books, I joined the local ATC (Air Training Corps) squadron, enabling me to sample flight for the first time in 1950 in an elderly Anson. Military aircraft have a distinctive odour of aluminium and oil, complemented in this case by an off-putting whiff of vomit, but I enjoyed this first ‘air experience’ flight along the Ayrshire coast. For the next flight, I borrowed a folding camera, and tried a few shots through the rather scratched Perspex window. Surprisingly, the results came out quite clearly, and another interest was born. This entry was posted in General Archaeology, Surveying and Recording and tagged aerial photography, Barri Jones, Bob Gourlay, Burghead pictish fort, Cawdor Roman Camp, crop marks, Culbokie henge, distance-learning certificate course in field archaeology, Ian Keillar, Jill Harden, John Wood, mulchaich, North of Scotland Archaeological Society, Portmahomack, RCAHMS, S C Stanford, Stracathro Roman site, Strath Sgiatheach, Tarradale, Tarradale barrow cemetery, The Moray Aerial Survey, Urchany on March 10, 2018 by nosas.